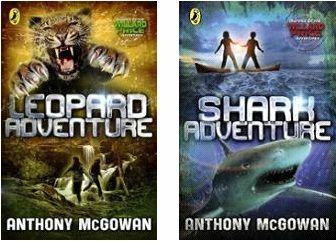 I read the first book in this new series, Leopard Adventure, last year and was surprised by how mich I actually liked it. The series is a spin off of the Willard Price novels, which were originally published 50 plus years ago. The central characters in the original novels were Hal and Roger Hunt. These new books see a new generation of Hunts, as the main characters are Amazon, Daughter of Roger Hunt, and Frazer, son of Hal Hunt. It’s best not to think too hard about the fact that Hal and Roger would actually be in their 60s or 70s now if the timeline was acurate, and they are certainly not that old in this new series. This series has so much going for it. There’s the obvious adventurous aspect, as the characters see themselves in many a dangerous situation with dangerous wild animals, and a number of very close calls. There are survival skills, and a lot of information about the various animals threaded through the story. I also like the underlying theme of family. It’s not an obvious aspect of the storyline, but in this book we can see how hard it is for Amazon to be apart from her parents, and while her relationship with her cousin Frazer gets stronger, all she really wants is to see her parents again. The one stand out for me in this and the earlier title I read, is the chapters told from the animals point of view. 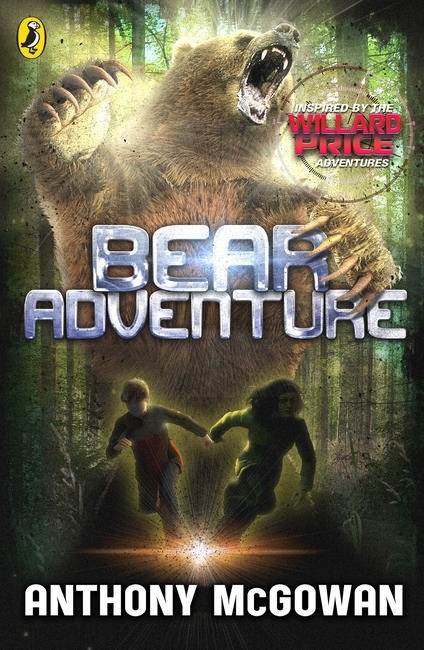 In this book we have chapters from the viewpoint of a creature we assume is bear, but we find out at the end of the book, how unique this bear actuallt is. It is a great way to break up the text and give a very fresh take on what’s going on in the story. The feelings burned like sulphur in the beast’s huge heart. He had thundered through the forest, driven on by the sounds of the pack. And so he had come. There were seven in the pack. Four had attacked the place where the little white one lay. The others were spread around the trees guarding the site. The other animals were there also, the ones who seemed to be helpers. Or at least seemed not to be harmers. But if they tried to stop him…well, they could not stop him. He would take the little one. See below for the two earlier titles in the series.